What can public historians learn when they collaborate with diverse producers and consumers of history? I have discovered that shared endeavour with community and family history organisations can have enormous benefits for public historians as they undertake their research and disseminate their findings. My collaborations with family historians in Australia, England and Canada over the past decade have made me think closely about the practice, ethics and politics of public history. We have much to learn about the impact of research partnerships on “marginalised” communities and how Aboriginal family historians are using historical research for political purposes. January was an exciting month for Australian public historians. On Friday 25th I passed through Euston station in London on my way to Bristol to talk about Socially Engaged Public History. I hoped to catch a glimpse of Matthew Flinders’ grave, which had just been “discovered” by archaeologists working on St James’ cemetery, preparing to build a high-speed rail link between London and Birmingham. While public debate has raged around Australian Prime Minister Scott Morrison’s commitment of $50 million to memorialise James Cook’s part in Australian history there is much to enjoy about the serendipitous discovery of Flinders’ grave and remains in the same month. He was “found” among the other 40,000 bodies because a lead breastplate was placed on top of his coffin when he was buried. This did not corrode and meant he could be easily identified. It is hard not to take delight in the bits of Flinders’ life story that have survived. It was Flinders not Cook who was the first European to circumnavigate Australia accompanied by Bungaree, his trusty cat Trim and Flinders “gave” the country the name of Australia. The story of Flinders sparked a global discussion on the politics of public history making. It excited me because on Invasion/Australia Day on 26th January with British public history colleagues I discussed the ethics of history making and how collaborative public history projects might allow “marginalised” groups to participate in the production and consumption of history. My focus was on how Aboriginal family history might be used to #ChangeTheNation, to encourage all Australians to learn more about their nation’s history, disentangling the relationship between the personal and political in order to foster reconciliation in the present. All of us need to think carefully and critically about why some historical stories remain invisible to contemporary citizens and what impact that has on our lives today? Since the 1970s the expansion of tertiary education has provided many more people than ever before with the means to think critically about the world and their lives. Technological change, the digitization of archives, the use of the Internet and social media have helped to facilitate the global phenomenon of family historical research. Rather than revealing social aspirations about heredity and wealth as much genealogical work prior to the 1970s did, people around the world (especially those located in settler migrant nations like Australia, New Zealand, South Africa, the US and Canada) are now focussed on bringing the lives of the marginalised to the fore, challenging stories about the stability of nuclear family life, race, class, sexuality and the “birth of the nation” in the process. Family history can have an enormous impact on ordinary people’s historical knowledge and for Aboriginal, migrant and “marginalised” communities can have significant political purpose. The quest to discover the past of one’s ancestors has been particularly strong among the Aboriginal communities of Australia. This is the legacy of land removal, death by the spread of European diseases, of the thousands of the Stolen Generations who were institutionalised or adopted, and a community which continues to have a shockingly and largely ignored mortality rate so that the oral histories of generations, despite being intrinsic to Aboriginal culture, are usually cut short at a desperately young age. Aboriginal people are using the radical possibilities of family history to reconstruct their identity and to challenge national histories of Australia that ignore the construction of the nation through racist policies and brutal violence. Family history is reuniting families split apart by the state, charities and individuals. As part of the process of national reconciliation, the state now facilitates and funds this research through Link-Up organisations, state libraries and the Australian Institute of Aboriginal and Torres Strait Islander Studies in Australia. Digital resources have also allowed Aboriginal people to search for their family trees and to learn more about Aboriginal history without entering the libraries and archives that so many individuals from within these communities associate with the sources of their oppression. It is for this reason that my work is increasingly focussed on working collaboratively with diverse communities and individuals who practice family history for political purposes. This community collaborative work takes time and commitment from public historians but there is much to learn in the process about the ways in which history as a discipline ranks the construction of knowledge about the past and what impact that has on people in the present. Family history can have a powerful transformative effect on researchers and as a result many “ordinary people” from so-called “marginalised” communities want to make their “private” stories about the past public for political and social purpose. Academic historians should involve themselves in the process. I am committed to collaborative work with diverse organisations and individuals (along with my #HistoriansCollaborate colleagues) because I believe that this is how we can best challenge the power relations that structure our access to historical knowledge. Family historians have an important part to play in the process of questioning commonly help assumptions and historical “truths”. The process of making the past personal and revealing historical truths has enormous potential for bringing about widespread political and social change. Let’s chart how different communities are working with history to better understand the lives of their community. Let’s reveal how our historical knowledge is constructed in specific ways (sometimes for specific purposes) by libraries, archives – the self-conscious as well as serendipitous survival of historical evidence. As public historians we must remain committed to analysing the impact of the politics and ethics of history making for different communities and to show the ways in which public history can be used to change people’s lives for the better in the present and for the future. Evans, Tanja and Jerome de Groot. “International family history workshop part 1.” 19th October 2017. https://ncph.org/history-at-work/hold-for-international-family-history-post-from-jermoe-degroot/; Part 2, “Family history around the world 4th May 2018.” http://ncph.org/history-at-work/tag/family-history/ (last accessed 18 March 2019). Hobbins, Peter. “Public History: Exploring Productive Relationships with Partner Practitioners,” November 2018. http://www.phansw.org.au/public-history-exploring-productive-relationships-with-partner-practitioners/ (last accessed 18 March 2019). Martin, Paul. “The Past in the Present: Who is Making History.” In The Public History Reader, edited by Hilda Kean and Paul Martin, 1-10. Oxford and New York: Routledge, 2013. Australian Institute of Aboriginal and Torres Strait Islander Studies: https://aiatsis.gov.au/finding-your-family (last accessed 18 March 2019). Find & Connect, https://www.findandconnect.gov.au/about/ (last accessed 18 March 2019). Centre for Applied History of the University of Macquaire, https://www.mq.edu.au/centre-for-applied-history (last accessed 18 March 2019). Please see also Robert Parkes’ PHW article: The Irony of Family History as a Source of Identity (2015). See the Programme of the Conference “Socially-Engaged Public History: Practice, Ethics and Politics” https://politicsofph.wordpress.com/programme/ (last accessed 18 March 2019). “Remains of Captain Matthew Flinders discovered at HS2 site in Euston,” https://www.gov.uk/government/news/remains-of-captain-matthew-flinders-discovered-at-hs2-site-in-euston (last accessed 18 March 2019). Benjamin T. Jones, “Rough seas ahead: why the government’s James Cook infatuation may further divide the nation,” The Conversation January 23, 2019, https://theconversation.com/rough-seas-ahead-why-the-governments-james-cook-infatuation-may-further-divide-the-nation-110275?utm_source=twitter&utm_medium=twitterbutton (last accessed 18 March 2019). H. M. Cooper, “Flinders, Matthew (1774–1814),” Australian Dictionary of Biography, National Centre of Biography, http://adb.anu.edu.au/biography/flinders-matthew-2050/text2541, published first in hardcopy 1966 (last accessed 18 March 2019). Carol Rääbus, “True tales of Trim, the adventurous cat belonging to navigator Matthew Flinders,” ABC News, January 25, 2019, https://www.abc.net.au/news/2017-12-10/history-of-trim-matthew-flinders-adventure-cat/9231672 (last accessed 18 March 2019). https://twitter.com/hashtag/changethenation?ref_src=twsrc%5Egoogle%7Ctwcamp%5Eserp%7Ctwgr%5Ehashtag (last accessed 18 March 2019). Reconciliation Australia: https://www.reconciliation.org.au/ (last accessed 18 March 2019). Tanya Evans, “Genealogy and Family History,” in Wiley Blackwell Companion to Public History, ed. David Dean (Blackwell: Wiley 2018). https://twitter.com/hashtag/historianscollaborate?src=hash (last accessed 18 March 2019). Disappearing History © Alan Levine, Public Domain via flickr. Evans, Tanya: #HistoriansCollaborate: Family History Today. In: Public History Weekly 7 (2019) 10, DOI: dx.doi.org/10.1515/phw-2019-13546. 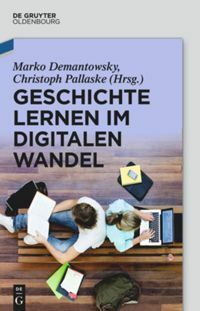 Was können Vertreter der Public History lernen, wenn sie mit diversen Geschichtsproduzent*innen und -konsument*innen zusammenarbeiten? Meine Erfahrung ist, dass gemeinsame Unternehmungen mit Organisationen, die sich der Lokal- oder Familiengeschichte verschrieben haben, für Public Historians bei ihren Forschungsprojekten und der Verbreitung ihrer Erkenntnisse von enormem Nutzen sein können. Meine Kooperationen mit Familienhistoriker*innen in Australien, England und Kanada während der vergangenen zehn Jahre haben mich eingehender über die Richtlinien, ethischen Implikationen und die Macht der Public History nachdenken lassen. Wir müssen noch viel darüber lernen, welchen Einfluss Forschungskooperationen auf “marginalisierte” Gemeinschaften haben und wie Historiker*innen der Aborigines-Familiengeschichten ihre Forschungen zu politischen Zwecken nutzen. Der Jahresbeginn 2019 war ein aufregender für die australische Public History. Am 25. Januar kam ich auf meinem Weg nach Bristol, wo ich einen Vortrag über gesellschaftlich engagierte Public History halten sollte, durch die Londoner Euston-Station. Dort, hoffte ich, einen Blick auf Matthew Flinders‘ Grab werfen zu können, das gerade erst von Archäologen “entdeckt” worden war, während sie vor dem Bau einer Hochgeschwindigkeitstrasse zwischen London und Birmingham auf dem St. James Friedhof tätig waren. Während sich die öffentliche Meinung ausließ über das Versprechen des australischen Premierministers Scott Morrison, 50 Millionen AUD für das Andenken der Rolle James Cooks in der australischen Geschichte zu widmen, gibt es viele Gründe, sich an der zufälligen Entdeckung von Flinders‘ Grab zu erfreuen. Er wurde zwischen 40.000 anderen Bestatteten “gefunden”, weil bei seiner Beisetzung eine Bleiplatte auf seinen Sarg platziert worden war, die nicht rostete und seine schnelle Identifizierung ermöglichte. Man kommt nicht umhin, sich an den wenigen überlieferten Fragmenten von Flinders‘ Lebensgeschichte zu erfreuen. Er – nicht James Cook – war es, der als erster Europäer Australien umsegelte, begleitet von Bungaree und seiner zuverlässigen Katze Trim, und es war Flinders, der dem Land den Namen Australien “gab”. Flinders‘ Geschichte löste eine globale Diskussion über das Machtgefüge hinter der Produktion von Public History aus. Es begeisterte mich, da ich am Invasion Day/Australia Day, dem 26. Januar, mit britischen Public Historians über die ethische Dimension der Geschichtsschreibung und die Möglichkeiten diskutierte, die “marginalisierten” Gruppen durch kooperative Public-History-Projekte eröffnet würden, an der Produktion und am Konsum von Geschichte beteiligt zu sein. Mein Hauptaugenmerk lag dabei auf der Frage, wie die Forschung zu Aborigines-Familien genutzt werden könnte, um die Nation zu verändern (#ChangeTheNation), wie alle Australier*innen dazu ermutigt werden könnten, mehr über die Geschichte ihres Landes zu erfahren und die Verflechtungen zwischen dem Persönlichen und dem Politischen zu entwirren, um Versöhnung in der Gegenwart zu ermöglichen. Wir alle müssen uns sorgfältig und vorsichtig mit der Frage auseinandersetzen, warum unsere MitbürgerInnen manche historischen Erzählungen nicht kennen und welche Effekte dies auf unser Leben hat. Mit der Verbreitung der Hochschulbildung seit den 1970er Jahren sind mehr Menschen denn je dazu befähigt, sich mit der Welt und dem eigenen Leben kritisch auseinanderzusetzen. Der technologische Wandel, die Digitalisierung der Archive und die Nutzung des Internets und der Sozialen Medien haben das globale Phänomen der Erforschung der Familiengeschichte befördert. Diente die Erforschung des Familienstammbaums vor den 1970er Jahren noch der Sicherung von Abstammungs- und Erbansprüchen, befassen sich heutzutage Menschen auf der ganzen Welt (insbesondere in Ländern mit einer Siedlungs- und Migrationsvergangenheit wie Australien, Neuseeland, Südafrika, den USA und Kanada) damit, das Leben der Marginalisierten in den Vordergrund zu stellen. In diesem Aufarbeitungsprozess fordern sie zugleich die Narrative von der Stabilität der Kernfamilie, von Ethnie, sozialer Klasse, Gender und der “Geburt der Nation” heraus. Familiengeschichte kann einen enormen Einfluss auf das Geschichtsverständnis eines Durchschnittsmenschen haben und für Aborigines, migrantische oder “marginalisierte” Gemeinschaften kann sie beträchtliche politische Bedeutung haben. Der Drang, die Geschichte der eigenen Vorfahren zu entdecken, ist in den Aborigines-Gemeinden Australiens stark verbreitet. 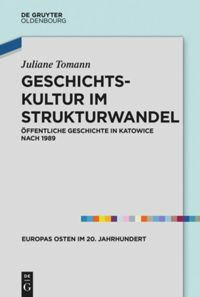 Es ist die Geschichte von Vertreibung, von Tod aufgrund von aus Europa eingeschleppten Krankheiten, von tausenden Vertreter*innen der sogenannten Gestohlenen Generation, die in staatliche Institutionen eingewiesen oder adoptiert worden waren. Es ist die Geschichte einer Gemeinschaft, die eine schockierende und weitestgehend ignorierte Sterblichkeitsrate aufweist, sodass die Weitergabe mündlicher Überlieferungen mehrerer Generationen oftmals bereits in einem extrem jungen Alter unterbrochen werden – obwohl sie intrinsischer Bestandteil der Aborigineskultur ist. Aborigines nutzen die radikalen Möglichkeiten der Familienforschung zur Rekonstruktion ihrer Identität und um die Nationalgeschichten Australiens infrage zu stellen, die ausblenden, dass die Konstruktion der Nation durch Rassismus und brutale Gewalt erfolgte. Die Familiengeschichte bringt Familien, die durch den Staat, karitative Einrichtungen oder Individuen getrennt worden waren, wieder zusammen. Als Teil des landesweiten Versöhnungsprozesses werden diese genealogischen Forschungen staatlich unterstützt und finanziert durch Link-Up-Organisationen, staatliche Bibliotheken und dem Australian Institute of Aboriginal and Torres Strait Islander Studies. Digitale Quellenbestände ermöglichen es den Aborigines außerdem, ihren Familienstammbaum zu recherchieren und mehr über die Geschichte der Aborigines zu erfahren, ohne eine Bibliothek oder ein Archiv und damit einen Ort betreten zu müssen, den so viele Aborigines mit dem Ursprung ihrer Unterdrückung assoziieren. Aus diesem Grund beruht meine Arbeit zunehmend darauf, gemeinschaftlich mit diversen Gruppen und Individuen zusammenzuarbeiten, die Familienforschung aus politischen Gründen betreiben. Diese lokale Gemeinschaftsarbeit braucht Zeit und das Engagement von Public Historians. Doch dieser Prozess ermöglicht es, viel darüber zu erfahren, wie die Disziplin Geschichte Wissen über die Vergangenheit ordnet und welche Effekte dies für die Menschen in der Gegenwart hat. Familienforschung kann eine stark verändernde Wirkung auf die Forscher*innen haben. Als Ergebnis möchten viele “Durchschnittsmenschen” aus sogenannten “marginalisierten” Gemeinschaften ihre “privaten” Geschichten zu politischen und gesellschaftlichen Zwecken veröffentlichen. Akademische Historiker*innen sollten sich daran beteiligen. Ich bin der gemeinschaftlichen Arbeit mit diversen Organisationen und Individuen verpflichtet (zusammen mit meinen Kolleg*innen von #HistoriansCollaborate), weil ich glaube, dass wir so die Machtbeziehungen, die unseren Zugang zu historischem Wissen strukturieren, anfechten können. Familienhistoriker*innen spielen eine wichtige Rolle darin, Allgemeinplätze über historische “Wahrheiten” zu hinterfragen. Der Prozess der persönlichen Aneignung von Vergangenheit und der Entblößung historischer Wahrheiten hat enormes Potenzial, breiten politischen und gesellschaftlichen Wandel zu erreichen. Wir sollten erkunden, wie unterschiedliche Gemeinschaften Geschichte benutzen, um das Leben ihrer Gemeinde besser zu verstehen. Lasst uns aufzeigen, auf welche spezifische Art und Weise (und manchmal zu spezifischen Zwecken) unser Wissen über die Vergangenheit von Bibliotheken und Archiven – durch die gezielte und die zufällige Aufbewahrung historischer Befunde konstruiert wird. Als Vertreter*innen der Public History sind wir dazu verpflichtet, die Einflüsse und die ethischen Implikationen der Geschichtsschreibung auf verschiedene Gemeinschaften zu analysieren und aufzuzeigen, wie Public History dazu verwendet werden kann, das Leben der Menschen heute und in der Zukunft zum Besseren zu verändern. Evans, Tanja and Jerome de Groot. “International family history workshop part 1.” 19th October 2017. https://ncph.org/history-at-work/hold-for-international-family-history-post-from-jermoe-degroot/; Part 2, “Family history around the world 4th May 2018.” http://ncph.org/history-at-work/tag/family-history/ (letzter Zugriff 18. März 2019). Hobbins, Peter. “Public History: Exploring Productive Relationships with Partner Practitioners,” November 2018. http://www.phansw.org.au/public-history-exploring-productive-relationships-with-partner-practitioners/ (letzter Zugriff 18. März 2019). Australian Institute of Aboriginal and Torres Strait Islander Studies: https://aiatsis.gov.au/finding-your-family (letzter Zugriff 18. März 2019). Find & Connect, https://www.findandconnect.gov.au/about/ (letzter Zugriff 18. März 2019). Centre for Applied History of the University of Macquaire, https://www.mq.edu.au/centre-for-applied-history (letzter Zugriff 18. März 2019). Bitte beachten Sie auch Robert Parkes’ PHW-Artikel: Die Ironie der Ahnenforschung als Identitätsquelle (2015). Siehe Programm der Konferenz “Socially-Engaged Public History: Practice, Ethics and Politics” https://politicsofph.wordpress.com/programme/ (letzter Zugriff 18. März 2019). “Remains of Captain Matthew Flinders discovered at HS2 site in Euston,” https://www.gov.uk/government/news/remains-of-captain-matthew-flinders-discovered-at-hs2-site-in-euston (letzter Zugriff 18. März 2019). Benjamin T. Jones, “Rough seas ahead: why the government’s James Cook infatuation may further divide the nation,” The Conversation January 23, 2019, https://theconversation.com/rough-seas-ahead-why-the-governments-james-cook-infatuation-may-further-divide-the-nation-110275?utm_source=twitter&utm_medium=twitterbutton (letzter Zugriff 18. März 2019). H. M. Cooper, “Flinders, Matthew (1774–1814),” Australian Dictionary of Biography, National Centre of Biography, http://adb.anu.edu.au/biography/flinders-matthew-2050/text2541, published first in hardcopy 1966 (letzter Zugriff 18. März 2019). Carol Rääbus, “True tales of Trim, the adventurous cat belonging to navigator Matthew Flinders,” ABC News, January 25, 2019, https://www.abc.net.au/news/2017-12-10/history-of-trim-matthew-flinders-adventure-cat/9231672 (letzter Zugriff 18. März 2019). Reconciliation Australia: https://www.reconciliation.org.au/ (letzter Zugriff 18. März 2019). https://twitter.com/hashtag/historianscollaborate?src=hash (letzter Zugriff 18. März 2019). Evans, Tanya: #HistoriansCollaborate: Familiengeschichte heute. 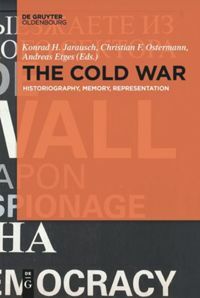 In: Public History Weekly 7 (2019) 10, DOI: dx.doi.org/10.1515/phw-2019-13546.